I'll say!!! With those Jubilee's you've got in your avatar------you need nothing else!!!!! Whoa!!!!! I just noticed - the Jubs are just your multi-channel system.....that 2 channel system you have is a monster!!!! Last edited by prerich; 12-17-13 at 08:10 AM. Excellent post!!!! I currently have all that I want. It's not much to many people but as I was listening to music last night- I was quickly convinced that I don't need to get anything else. (However my multi-channel system doubles as my 2 channel system). I'd more than likely have more fun and gratification out of going the DIY route than just accumulating audio gear. Especially if I can fix it myself - (that's why I went the HTPC route - never have to worry about buying another prepro or receiver again). 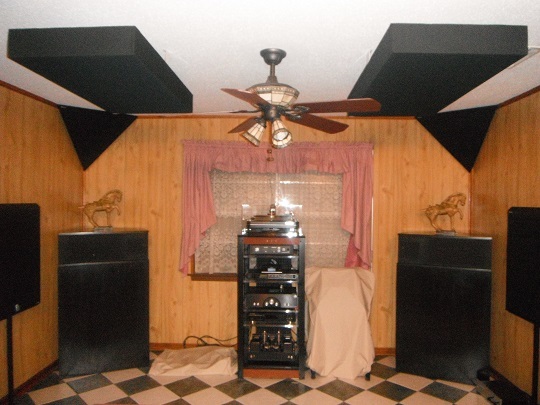 This would be my dream system and is currently in my music room where it belongs!!! I had a pair of Klipschorns myself many years ago. That brought back memories. JC is that you (from whatsbestforum)????!!!! That's great!!! You've put up bass traps and acoustic treatments - that should tame your bass indeed! 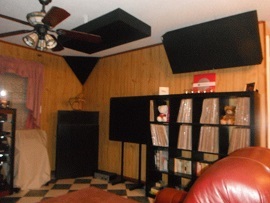 Simply on the audio gear that's pictured in that room, that'd be a top contender for my dream system. If I had a room like that to put it in which I don't (yet). Since we're just talking about a dream system, not a dream life that'll encompass everything else, house, cars, BIG tv's etc. I'm going to have to dream a little smaller. My source would be a top flight CD player (Burmester? ), unfortunately while I own an OPPO BDP-95, I'm not familiar with higher end (read: better performing, not just higher priced) CD players. My speakers would be either Wilson Sophia V3s, Sasha I or IIs or Alexia's. Or possibly Nola Grands (for something completely different), powered by MBL amps. I don't know the first thing about cables so I can't dream too much outside of standard ones and the same goes for racks/stands. Not having any owner's experience with any of that gear I don't know if they all would match well to bring out the best in each other but, I'm only dreaming anyway right? So it doesn't really matter. Happy 2014 everyone. Here's to achieving dreams however big or small they may be, in audio or otherwise. Cheers! The Oppo is no slouch. I know of one person who traded an Ayre CX-7 @ ~$3K in on an Oppo BDP-105. He says the Oppo sounds better and is more reliable. i have a suspicion, if you acquired your dream system you'd find some suitable (commensurately high priced) cable to match the rest of those high "zoot" components.